Jack Johnson has been named an ambassador for a fantastic campaign. 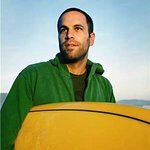 In 2004, Jack Johnson became the 50th member of 1% For The Planet. Jack’s 2005 release of In Between Dreams became the first album to carry the 1% label and his 2005 world tour promoted the 1% For The Planet mission and brand and helped to bring worldwide attention to the organization. Today 1% for the Planet is a global network of 1475 businesses that invest at least 1% of their sales in non-profit organizations focused on sustainability. This week they launched the 1% For the Planet Ambassador Program and Jack is honored to be one of the Ambassadors! The 1% Ambassadors are a diverse group of business-leaders, athletes, artists and activists who are integrating the 1% For The Planet message into their daily lives to help broaden awareness for this global movement. Designed to give people a powerful platform to make a difference, the 1% For The Planet Ambassador Program seeks to elevate awareness of sustainability issues while building bridges between corporate and non-profit leaders to keep earth in business. The Ambassadors span all walks of life and many divergent professions, including CEOs, media, artists, musicians and even race car drivers. They hold a common core-belief that businesses have the power and responsibility to create reliable prosperity for the planet by investing in sustainability projects with the non-profits partners in the 1% global network. In addition to becoming one of the 1% For The Planet Ambassadors, Jack Johnson’s To The Sea World Tour collaborated with over 150 hand-chosen community groups around the globe as part of Johnson’s All At Once Community. As in 2008, Jack donated 100% of his To The Sea tour proceeds to charity.